Valkyria Chronicles 4 is an amazing turn-based strategy game from SEGA, with RPG elements and part real-time 3rd person shooter. Commander Claude Wallace and his childhood friends set out to fight in a desperate war, but bone-chilling blizzards, waves of imperial soldiers, and the godlike powers of the Valkyria stand between them and victory. 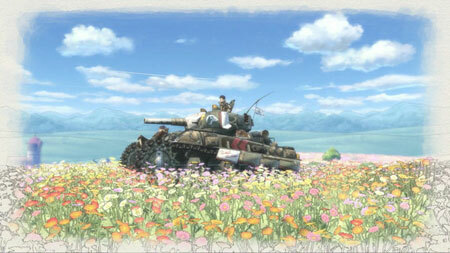 The game takes place in the same timeframe as the original Valkyria Chronicles, but with an all-new story focusing on Squad E of the Federation. Take command of the determined, young Commander Claude Wallace, engineer heavy weapons extraordinaire Riley Miller, hot-headed Darcsen Raz, ice-cold ace sniper Kai Schulen, and more. The series’ signature hand-drawn visual style is back and overhauled for the newest generation. Inspired by watercolour compositions, the CANVAS Graphics Engine blends visual elements of reality and imagination to create an expressive world filled with colourful emotions. Watch the journey of Squad E unfold like an interactive painting. If you get stuck in the game, check out the video walkthrough and gameplay for the game. This entry was posted in PC Games, Walkthrough and tagged Valkyria Chronicles 4 Cheats, Valkyria Chronicles 4 Game, Valkyria Chronicles 4 Gameplay, Valkyria Chronicles 4 Guide, Valkyria Chronicles 4 Hints, Valkyria Chronicles 4 Review, Valkyria Chronicles 4 Solutions, Valkyria Chronicles 4 Strategy, Valkyria Chronicles 4 Tips, Valkyria Chronicles 4 Walkthrough by Marvin. Bookmark the permalink.